New material from Australian electronic duo HTRK only comes along every so often, an infrequency that amplifies the mysteriousness inherent in their music's dubby low-end fascination and heartbroken, sluggish gait. Truth be told, there is some sad backstory behind the gap between their 2011 LP, Work (Work Work), and the present, as former bandmate Sean Stewart passed away mid-way through the recording of that deeply romantic, addictingly melodic collection. A handful of years later, fans of the group will be thrilled to learn that Jonnine Standish and Nigel Yang are back with a brand new LP, Psychic 9-5 Club, slated for April 1st release on Ghostly International and produced with the help of former Excepter member Nathan Corbin. Here's the skeletal lead single, "Give It Up," starring Standish's signature monotone incantations and a copious amount of echo. 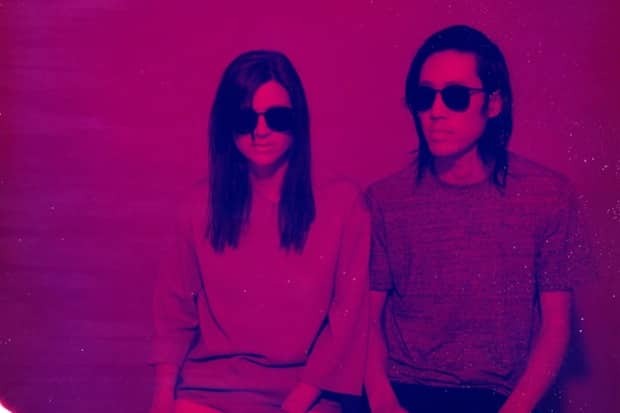 Stream: HTRK, "Give It Up"